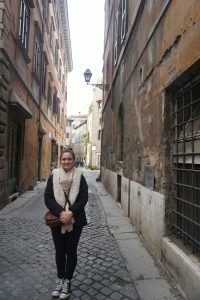 Some of the biggest takeaways from this experience were visiting so many cities in Europe, making new friends, growing as a person, being out of my comfort zone and learning from that, living in a different culture and gaining new perspective on home and my life. The advice that I would give to students who are planning on studying abroad would be to make sure that you do a lot of research on the place that you’re going. Do you want a big city or a smaller city? What are the customs of the people that live there? 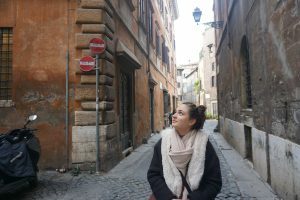 I would definitely make sure you have enough money to travel other places if you go somewhere like Europe, or simply stay at your study abroad town. I would also consider trying to study abroad during the beginning of your time here at Western, rather than towards the end. It has been a little stressful coming back and dealing with reverse culture shock. I am a senior so I am graduating at the end of spring and have to figure out where I want to go when I leave Western. Having to think of that and also be back to somewhere where everything is the same but I feel different feels stressful. Although, I understand that this is a part of reverse culture shock and it too will pass and I will feel more adjusted the more time I spend here. This experience was challenging in many ways and also holds some of my best memories. I will forever cherish the times that I had. I honestly can say that I grew so so so much on a personal level. I learned how to take care of myself with the unfamiliar being gone and I learned how to love myself, others and different countries. It was a great experience and I’m very grateful that I got to go through it. 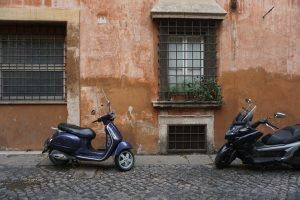 These photos are from Rome, Italy.